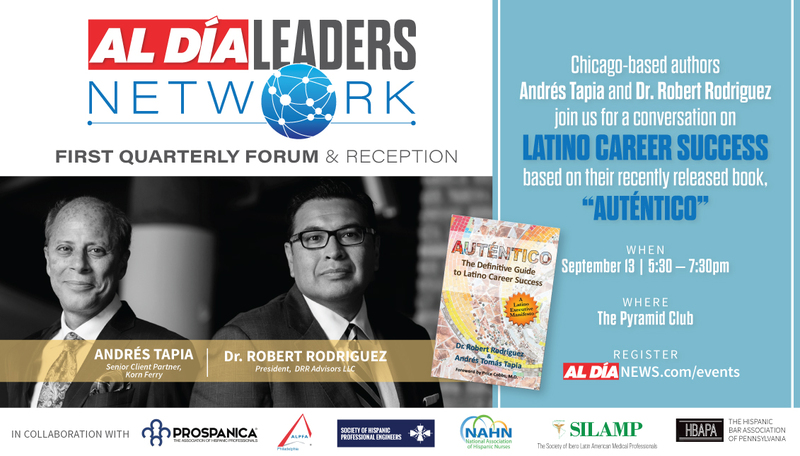 join us for a conversation about Latino leadership in corporate America based on their personal experiences and stories from their recent book, Auténtico: The Definitive Guide to Latino Career Success. Registration is required. "Autentico is at once a precisely on-point guide and an uplifting exhortation. Andrés Tapia and Robert Rodriguez and have written a manual which will be of immense value to Latinos seeking to reach their full productive potential. But the greatest impact of this book will be the benefits to our society as aspirations, talents, confidence, and leadership are unleashed in our businesses and civic institutions." "A great resource for anyone wishing to understand challenges, opportunities, and best practices for Latino advancement in Corporate America by two renowned experts on Latino leadership and diversity and inclusion."